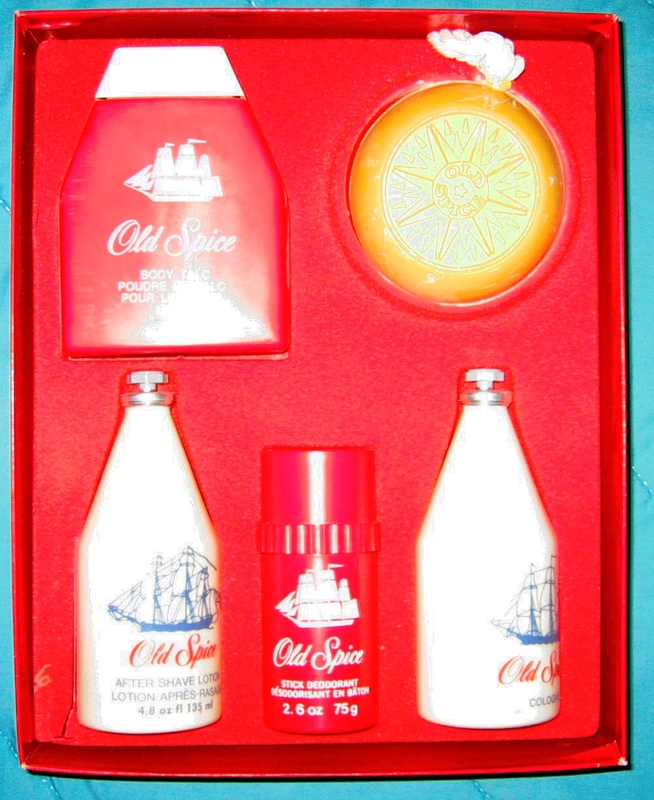 Over the years Old Spice products came in a wide variety of Gift Sets - packaging multiple products, or product with some sort of premium or gift item. 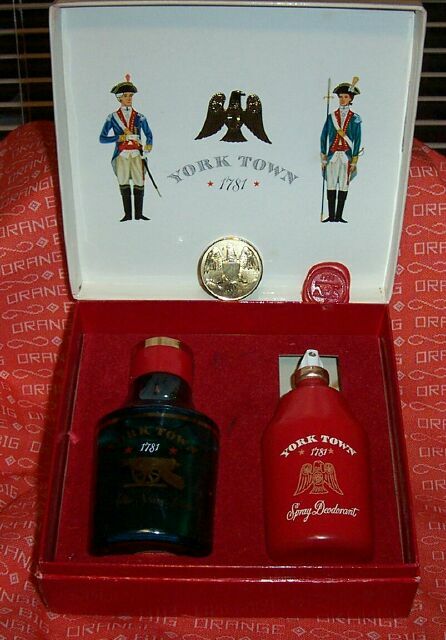 On these pages I have catalogued over 250 of them. 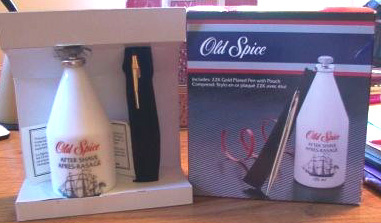 To speed up the downloads I have split this information into five separate tables in ascending product id order. 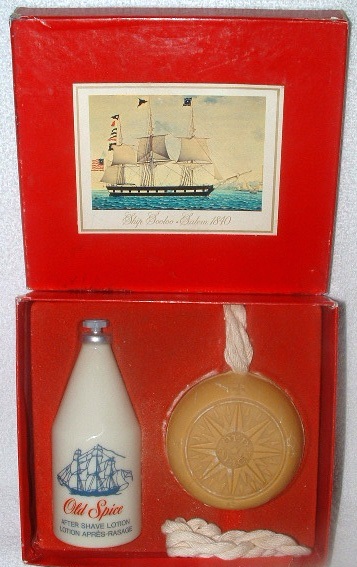 Use the navigation buttons to browse or find a specific set. 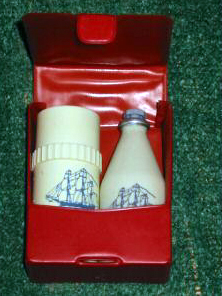 Note that the length of the product IDs changed from 3 digits to 4 digits (adding a 3 to the front or a 0 to the end) around 1961 then 5 digits (adding another zero) in 1985. 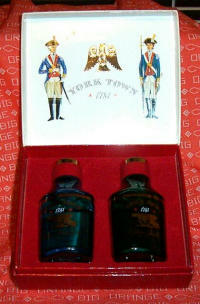 An item with ID 370 would become 3370 then 33700. 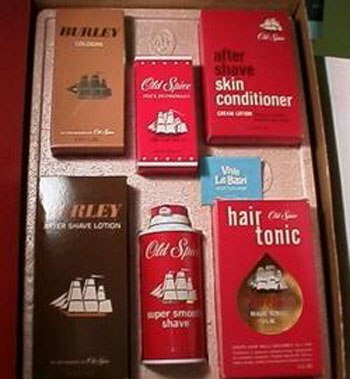 Listed below are several "Miscellaneous" Gift Sets that are not in my U.S. catalogs that other collectors have shared with me. 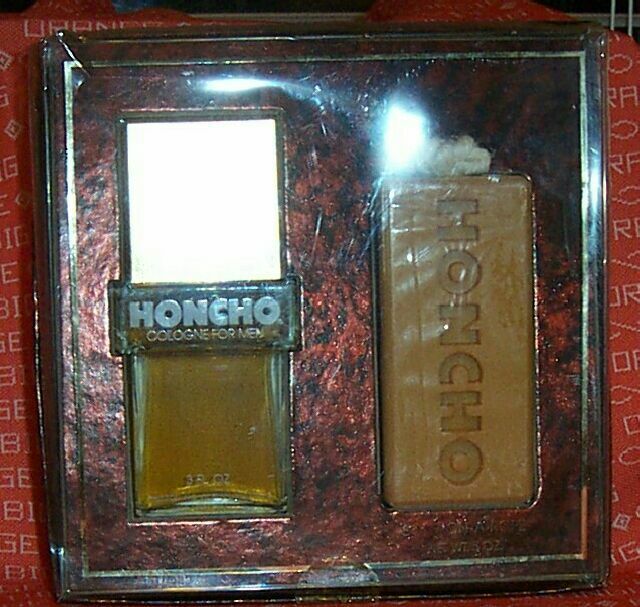 Gift Set 3096 - England: Honcho Cologne and Soap. 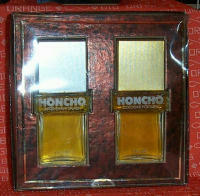 Gift Set 3097 - England: Honcho After Shave and Cologne. 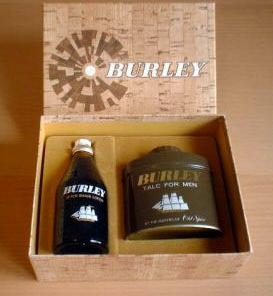 Gift Set 4752 - England 1970s: Burley After Shave and Body Talc. 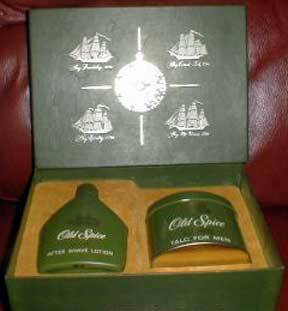 Gift Set 3342 - Travel Set of After Shave and Stick Deodorant in a plastic case. 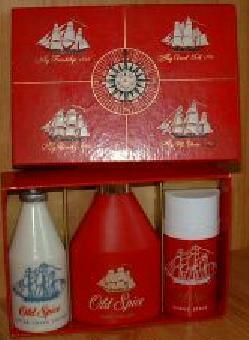 Gift Set 3359 - Plastic Containers After Shave Lotion 2 oz. 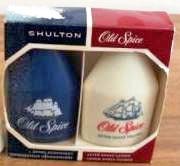 ; Spray Deodorant 1.5 oz. 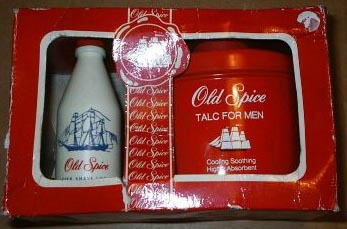 I am led to believe this is a Canadian product. 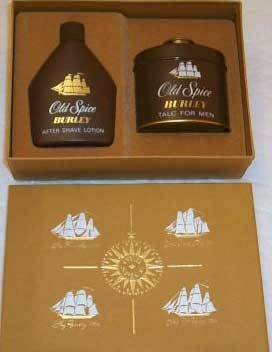 Gift Set 3414 - After Shave, Talc and Aerosol Deodorant. 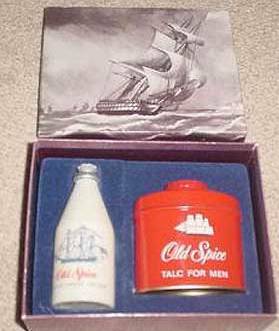 Gift Set 3934 1960s: After Shave and Body Talc in a tin shaker can.